¶1. (C) SUMMARY. Attorney General Wako offers inconsistent, unconvincing explanations of why more than one ton of cocaine held by the Government of Kenya (GOK) for over a year cannot yet be destroyed. We agree with the U.K. to give the GOK another 3 weeks to develop a credible plan before going public with our dissatisfaction. 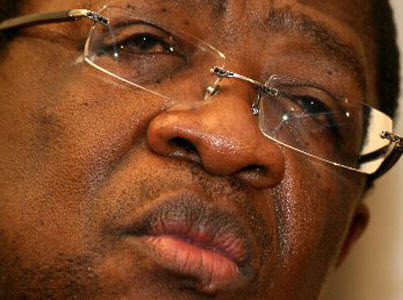 Although many have called for Wako’s resignation in recent months, President Kibaki does not have the constitutional authority to remove the Attorney General from office. END SUMMARY. ¶2. (C) U.K. High Commissioner Adam Wood, a UNODC official, and I met for over an hour February 15 with Attorney General Amos Wako and Director of Public Prosecutions Keriako Tobiko. The meeting was at Wako’s request. He said he was aware of international concerns about Kenya’s handling of the 2004 cocaine haul and wanted to put our minds at ease. He was also aware of our previous complaints to the Foreign Ministry on this subject, and of the Foreign Ministry’s diplomatic note requesting UN and USG assistance in disposing of the drug stockpile (ref B). ¶3. (C) Wako explained that due to a “bad law” (specifically, section 74(a) of the Narcotic Drugs and Psychotropic Substances Control Act), the GOK could not destroy the drug stockpile until it had been exhibited to, and sampled in the presence of, all of the defendants in the case. This has already occurred for six defendants currently standing trial in Nairobi. Another key defendant, however, has just been convicted on drug charges in the Netherlands. While the Netherlands has agreed to Kenya’s request for extradition, the defendant had appealed to the Netherlands high court. The High Court is expected to decide within the next two or three weeks whether the defendant can be extradited. ¶4. (C) Wako said once the defendant is extradited, he will confront the evidence (the stockpile) and, after that, the stockpile can be disposed of. Wako was vague on how long this process might take. If, on the other hand, the Dutch High Court ruled against extradition, there would be no need to retain the stockpile. ¶5. (C) Wood and I both pressed for the GOK to at least invite in outside experts to test, measure and seal the stockpile. This could be done immediately, and without prejudice as to how and when the stockpile was eventually disposed of. Such verification was needed, we argued, to put to rest worries that the stockpile had been tampered with and possibly trafficked. Wood explained how, with shipments of cocaine showing up in London on incoming Kenya Airways flights, HMG’s patience was growing thin. I added that the GOK would soon have a serious credibility problem if it could not show that the stockpile was intact and being handled in accordance with best international practices. ¶6. (C) Unfortunately, Wako explained, it would not be a good idea to test, measure or seal the stockpile. It would undermine the prosecution’s case since it would allow the defense to argue that the State did not have confidence in its own evidence. Wood and I dismissed this argument as lacking any credibility. When pressed about whether retention of the entire stockpile was necessary throughout the trial, Wako and Tobiko were evasive. Eventually, they admitted that the stockpile could be disposed of once the prosecution rested its case. ¶7. (C) Wood and I concluded the conversation by advising Wako that we were not satisfied and would soon be in touch with the GOK again. Wood and I later agreed to await the outcome of the Dutch court case. If the GOK still had no credible plan at that time, we would consider options for going public with our concerns. ¶8. (C) COMMENT. Wako obfuscated throughout a long and somewhat confusing legal conversation. Tobiko appeared uncomfortable and intervened only to clarify points of law, although he also seemed uncertain of what he was saying at times. The bottom line is that the Kenyan authorities have been sitting on more than a ton of cocaine for more than a year, at least four consignments of cocaine have reached the U.K. from Kenya in that period, and no one in the GOK is able or willing to assert that the stockpile is intact and that a credible plan exists for measuring and disposing of it. It is significant that Police Commissioner Ali, under whose authority the cocaine is supposedly safeguarded, urged us prior to the Wako meeting to press the Attorney General hard for verification as soon as possible. Ali wants to wash his hands of the mess; for some reason, Wako does not. ¶9. (C) We have heard repeated complaints from respected figures in and out of the GOK (including Anti-Corruption Chief Justice Ringera and World Bank Director Colin Bruce) that Wako is the main obstacle to successful prosecutions of any kind in Kenya. Whether he is profiting in some way from the drug trade, protecting others who are involved in it, or is working from some other motive, we cannot tell. He may feel a degree of immunity since the constitution does not allow the President or any other authority to remove him from office. END COMMENT. Kenya is the sea of corruption no one can stop fish moving in the sea. Wako is in the same sea. There is a female PNU Activist enjoying full State paid security; GSU body guards and chase cars, etc. She invited the Artur brothers who brought drugs and guns into Kenya. Her daughter was also a lover to one of the Artur brothers. You can guess whom she is. She was rejected by Lucy Kibaki as a non-member of the first family, yet she is so powerful and speaks of president Kibaki as her husband. She has been mentioned by the US Government as the person well-connected to a powerful Kenyan male politician. She is the one dealing in drugs at the Coast and is untouchable. Below is a section from the Standard newspaper to show how frustrating it is for the Kenyan security forces to deal with the serious drug trafficking issue. “But in a strange turn of events, the police have literally thrown in the towel over arresting the politician they say owns the speedboats used to transfer the drugs from the high seas to his house. The politician is said to be under the protection of a well-connected activist and businesswoman. As if to underline their impotence in the face of the worsening drugs crisis, the police complained drug barons were “boasting in public places” how the force is useless.